Structure is both the saviour and enemy of the free. It brings rules and regulations, it moderates and provides guidance. And boy do we need guidance. Total freedom is chaos. Anarchy. Structure is the foundation upon which society is formed. A system that frees us from anarchy yet strips us of our freedom. We are not free, we are civilised. Stifled. Structure restricts. It forces square pegs into round holes. It discriminates, it bores. Yet few flee the structure of society. We fear the unstructured. We impose rules and structure on all we encounter. Conversations, days, lives, damn, even cycling. Gone is the joy of random walks, of chance encounters, of just popping out for a ride. Structure. Can’t live with it, can’t live without it. Children, unconditioned, do all they can to avoid structure until life imposes it. Retirees, free from work, from the rigid structure of the 9-5, quickly seek new structures and habits to fill the void. How else to explain jigsaw puzzles and daytime TV? Structure is all-pervasive. Brush your teeth twice a day. Eat five fruit and vegetables, three meals a day, drink two litres of ale water, sleep eight hours. Structure builds habits and routines. The morning coffee, breakfast, elevenses, lunch, foursies, dinner, supper. Markers of the day, goals to aim for, breaking down the void into ever more bearable pieces. Time and age dictate when we’re a baby, a child, a teenager, an adult, the latter often defined by law. Grow up, get an education, go to work, get married, start a family. Milestones defined by the structure of society. We may think we’re thinkers, constantly making decisions yet we live mostly on auto-pilot. Our understanding of the world, of life, is formed through structure. Language. Grammar. Discussions, essays, lessons. Structured so others can follow. We need a path to be led. Is emotion structured? Do we teach ourselves how to react to fit within the norms of society? The girl who never smiles or laughs is treated with suspicion. The man who doesn’t cry at his mother’s funeral is odd, inhuman, best left alone. Sadness is treated not as a frame of mind, as an emotion, but as a disease. Unhappy people are ill. Broken. Not that structure is all evil. It helps free the mind from thinking, no longer do we have to worry about that which is dictated by structure. Habits are shortcuts to action and are stronger than all the willpower you can muster. We may think we’re thinkers, constantly making decisions yet we live mostly on auto-pilot. Take it too far and we become structural zombies, not thinking at all. I’m free. Now what? Travel. Where to? Need a plan, need a structure. Say no to the plan and just walk. Close your eyes, spin around, open your eyes and walk. Where does it take you? Probably not very far until society’s structure guides you. A road, a path, a fence, a border. Join the queue. Abandon society and start your own life, a lonely existence one step removed from the structure of society? Perhaps you can encourage others to join you. Society has a name for that. Cult. Not so appealing now eh? Cycling imitates life. Structured cycle training plans provide a framework, a tiered progression. Base miles, strength training, VO2 max intervals, rest days. Structured training brings us purpose, relief. A rigid path to follow towards our goal. Me no think, me just ride. Stray from this path and we feel guilty. Off the shelf structure guides but can also mislead. We follow predetermined training plans blindly, refusing to listen to our bodies when they breakdown and burnout. I was all about structure. I was serious, I monitored all of the acronyms. FTP, HR, TSS, RPM, w/KG, WTF, OMG. Last year I was all about structure. I was serious, I monitored all of the acronyms. FTP, HR, TSS, RPM, w/KG, WTF, OMG. Testing every month. Strapped tight to a strict and rigid training plan. For the most part it worked. My FTP increased from an off-season low of 280 to 350. And then I popped. Early August and I was done. Overcooked, no amount of rest could recapture my former glory. I stopped enjoying my riding. Mentally I could no longer withstand the barrage of intense intervals. I am still working to a plan this year but it’s loose, free form. I adapt as I go. Think of this as an Agile cycling training plan. Agile is all the rage in the project management world and has been for some time. It’s far from the saviour and answer to all our project management needs but it does have many advantages over traditional, ‘waterfall’ project management [disclosure: I’m a project manager when not riding or writing. I’ll try not to bore you]. In waterfall project management you design a plan up front and stick to it, hoping to deliver an objective far in the distance no matter what you encounter on the way. The overwhelming majority of cycle training plans on the internet follow this practice. Here’s a 12 week training plan, each workout set in stone, progression set from the outset regardless of your adaptation. Enter agile project management and the concept of continuous improvement. We don’t plan the 12 weeks intricately. Start with a basic roadmap and plot your phases: base, build, peak. Rather than state which workouts you’ll be doing each week, set an approximate wattage you’ll be aiming for. Just like traditional training plans there may be specific races or events you can add as milestones. Listen to your body not your spreadsheet or workout calendar. Next, breakdown the first week or two of the roadmap by pencilling in potential workouts. Depending on your performance, you can change these as you go. Feeling tired? Adapt the plan and outputs, evolve your training plan weekly depending on your progress. This will mean your targets are more achievable and based on progress rather than numbers set many weeks earlier on a spreadsheet. Agile focuses on the individual rather than the process. So you must too. Listen to your body not your spreadsheet or workout calendar. Workout targets should be flexible. Think of the Minimum Viable Workout. Listen to your body. When you’re tired, stop. When you’re coasting go harder. Ignore the plan. Deviate from the target. Do not fear a +/- 10% deviation from the line, let your perceived exertion guide your output. Most importantly, allow for change. Adapt your plan according to your performance. There’s no point annihilating yourself in pursuit of an impossible VO2 Max interval just because the plan dictates it. Back off, do one less repetition, reduce the intensity, shorten the interval. Similarly do not coast if you’re nailing your target wattage. Push on, use perceived exertion as your guide. Your body, not your training plan, should dictate your rate of progress. Agile also aims to keep things simple. Life is complicated enough. There’s a surprisingly small set of workouts you require to train the aerobic and anaerobic systems. TrainerRoad may have 2,000 workouts but you’ll achieve the same with the basic mixture of 2×20, 3×10, 5×5, 5×3 and 20-30s spikes. Depending on what you’re training for you may only need to 2 of these. It really can be that simple. Sure, vary your intervals to keep you sane and shorten / lengthen workouts depending on your fitness. Regular retrospectives are also a useful Agile technique to apply to your training. What worked, what didn’t, what shall we change? Agile teams work in sprints, blocks of time, usually weekly or bi-weekly. I’d recommend a similar time frame for your own training before looking back and understanding what is and isn’t working. Most importantly use this information to adapt your plan. The retrospective should focus on the process not the outcome. This is not the time to be looking at your FTP but the intervals and rest periods. Are you nailing the sweetspot intervals but struggling on the V02max. Are the early morning intervals a struggle? What about your post interval food? Are you getting enough sleep? You don’t need this. Promise. Short of time? Apply lean thinking to your Agile training plan. Eliminate the waste and anything not adding value. You can be a quicker rider with just two sessions a week, a few hours is all it takes. This concept is not new. The time crunched training plan looks to maximise your return with the minimum input but it’s also rigid. A set 6-8 week plan to get you in shape for a spike. It’s unsustainable for a year round training plan. A lean agile training plan however adapts with your fitness. Apply the concept of specificity to identify your training goal and train for that. Climbing mountains in France? Forget about the 30s spike training plan, sweetspot is your bread and butter. Work on an 80/20 rule, 80 percent specificity and 20% fun or sharpening your other cycling limiters. I’m time-crunched, who isn’t? Last year I was training 3 times a week, throwing in all sorts of intervals, measuring my FTP monthly [FTP lessons here] and sticking to my target wattage no matter what. This year I’m training just twice a week and training by feel. The result? I’m 10% quicker than I was this time last year. I’ve not taken a single FTP test yet I can compare my power curve and interval outputs to measure progress. The difference? I’ve dropped base miles and this year’s intervals adapt according to how I feel. Mostly this means hitting higher numbers than the target wattage, using perceived effort and my HR to ensure I don’t go too hard. I’ve also simplified my training plan. Either a sweetspot ride outdoors (weather permitting) or a V02 max indoor interval, each increasing when I feel my body is ready for it, as evidenced by multiple workouts not just the one off workout when I’m feeling good. These intervals help increase my FTP by pulling from above (V02 max) and pushing from below (sweetspot). Throw in a beast session once a month, riding all out for as long as I can, followed by a rest week, and voila, I have a simple but effective training plan. Fewer intervals mean I enjoy workouts more and I’m more rested for each session, meaning I can work that extra bit harder in each. Quality not quantity. Structure is helpful when we begin cycle training, it helps build a foundation to our knowledge. We can’t break the rules until we’ve learnt them. Lessons learnt, the apprentice should seek to surpass their master. Foundation in place, we learn what does and doesn’t work for us. We understand which rules can bend or break, which can be merged or mixed. The structure becomes a loose framework, a guiding star to which there are many paths. We are free from the spreadsheet and training diary. We are not a number. Numbers guide but do not constrain us. FTP, once a marker of our progress, the exact number scrutinised and obsessed over. No more. FTP is no longer a number, it’s a feeling. FTP = Feel The Power. FTP is no longer a number, it’s a feeling. FTP = Feel The Power. With experience you soon know what 300 FTP feels like and what 330 FTP feels like. A margin of 10%. I can’t tell you the difference between 325 and 330 but then I don’t need to. A difference of 1.5%. Such margins are not significant no matter what your digital display may tell you. Data powers the Agile approach. Yet the human body is very different to a piece of software or a product. Use data as a guide to progress not as an exact measure. We may think we’re data scientists in our own private gyms aka garage / spare bedroom, counting our watts and heart rates, but we cannot account for the impact of any number of externalities. The air temperature, the declining resistance of our turbo, our glycogen stores, how much we slept, our levels of stress, time of day, how much food we’re digesting, the impact of caffeine, of our choice of music, our anger, our motivation. All of which add up to more than +/- 1.5%. Do not punish yourself for the abandoned workout, congratulate yourself. Your body spoke and you listened. Be careful not to infatuate on the numbers. Focus not on individual numbers but on trends. The more data points the better. Weeks not days. Do not get hung up on individual workout performances. Avoid isolated metrics and consider the full context. FTP going up but at what cost? Has your total workload increased beyond sustainable means? FTP up but unable to sustain to any kind of duration at 110% FTP because you’ve only trained sweetspot? Fine if you’re a timetrialler, not so if you’re crit racing. Some inputs should be ignored. Emotion. Don’t feel like riding today with no apparent reason? There’s many times I drag myself onto the bike for a training session when it’s the last thing I want to do. Yet once warmed up I’m flying and feel all the better for the ride. Occasionally my gut instinct was right and I’ll abandon the workout, but this is very much the minority outcome. Either way, do not punish yourself for the abandoned workout, congratulate yourself. Your body spoke and you listened. Repeat such negative data points another couple of times and it’s time to review and adapt your plan. Remember, data is historical and does not predict the long-term future no matter how good your forecast. A poor performance last week signals the need for change and perhaps a re-calibration of your progress but it doesn’t necessarily predict a long-term decline. So too progress. You can’t expect to repeat a 10% increase in your FTP every single month. Don’t over-complicate training, life’s complicated enough. Sure, you can still take training seriously. You can still wear the headband on the turbo. Or talk sports science gobbledegook at the cafe stop. You’ll just be happier. Fresher. Quicker. Ha ha, love it. It was only a matter of time before Agile infiltrated cycling, feels like all I hear sometimes… We must be more Agile. Such a great post! I loved that long intro but scrolled through… My attention span is too short to read all of it. Will bookmark this page and never come back. Another thing I heard an old man say concerning overbooking: “people have enough time. They just want to do too many things”. Thanks x-ray, I think! 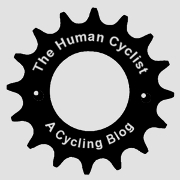 Appreciate it’s long, I’ll add a link so folk can skip the social commentary and get straight to the important business of cycling! Good luck with your “plan” ! Thanks Florin. You make a very good point about adding variety and purpose to the plan, even if they are not fully defined. I’ll begin switching sweet spot for more V02 max later in the year and will also be adding hills at some point. TSS is a good guide during base phases but less so as the plan progresses and you look to increase the intensity. Good advice. I have recently gone back to TrainerRoad so if I’m feeling ‘80%’ I can set the workout to the same level. Can’t do that with Zwift. Yeah that’s the great thing about TrainerRoad, very easy to adjust workouts even if you’re in the middle of a session and realise you’re blowing! HaHa! Love this! Did the rigid training plans, burned out and declined a few times. I went agile without initially realising it was agile, despite having worked as a product owner. I’m loving it. I abandoned a 40/20 session in the third set of intervals last night – no guilt or disappointment. I was satisfied with what I’d done, understood that I’d had a tough week at work, and mentally moved on. I’ve started other sessions recently feeling tired and absolutely nailed them. Take it as it comes. I think that’s the hardest thing sometimes, to admit we’re cooked and to stop! Ps: was a little conscious of turning cycling into an Agile exercise given everyone seems to talk about being Agile this and Agile that nowadays! Great blog post! Several years ago I was caught up in the numbers and data, concerned with weather I was progressing or regressing. It got so complicated and frustrating that I quit riding. I was afraid of failure which is inevitable because you end up running yourself into the ground. I’m happy to be back on the bike with the “Listen to your body.” strategy and its working for me remarkably. Riding is fun and relaxing again. Thanks Steven, glad to hear you’re back on the bike and enjoying it once again, listening to the body and the head! I have done the broad brush strokes approach from the start. For each phase I then have a list of priorities vo2 Max, lactate threshold etc. More than happy to stop a workout if it is not happening and replace with a recovery ride instead then see if It is happening the day after. Sounds very similar to my plan Phil. I’ll usually lower intensity by 5% before stopping a workout. If it’s still not happening after that then it’s time to quit.